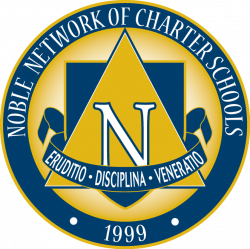 Noble is Chicago’s highest-performing and largest network of public charter high schools. Our 18 schools and 1,300 employees currently serve over 12,300 students, 98% of whom are minority, 89% low-income, and 83% first-generation college goers. The School Quality and Rating Policy scores for the Chicago Public Schools rated Noble campuses as ten of the top fifteen public high schools in the city. 18% of our student body has an IEP, representing over 2,000 of our students, over 78% of whom are admitted to four-year universities. We believe our people are the most valuable asset in preparing our students to be successful in college and lead exemplary lives. For that reason, we are looking for the best talent in education.